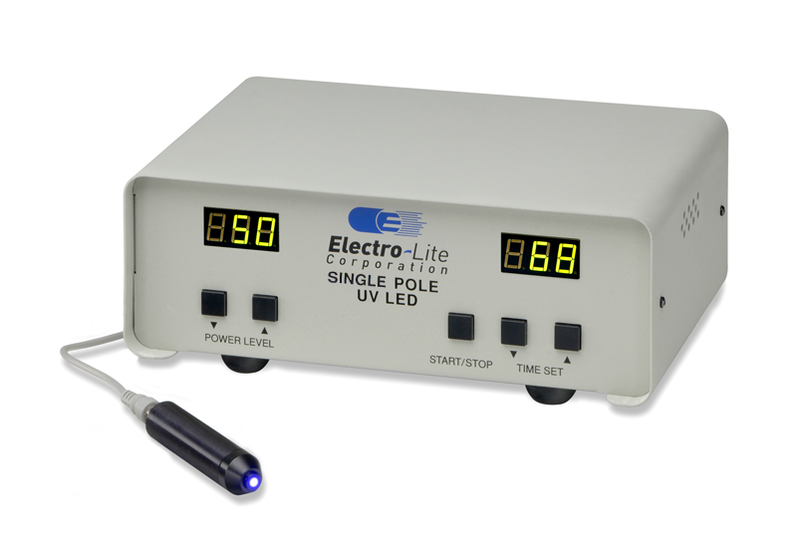 In response to the need for small footprint UV processing at work benches, Electro-Lite has introduced the SinglePole LED UV Spot Curing System. The new system has the same form, function, and features of the popular MultiPole LED UV System while using a single pole output. "After having excellent success with the MultiPole system in applications that called for multiple positioning of cure sources we saw a need for a simple, economic one source curing system at the bench level. So we designed the SinglePole system specifically for bench application or integration into OEM systems. The UV light emmitting pole fits easily into any XY motion system or similar fixtures for automated production can can be controlled via footswitch or computer signalling through a PLC." 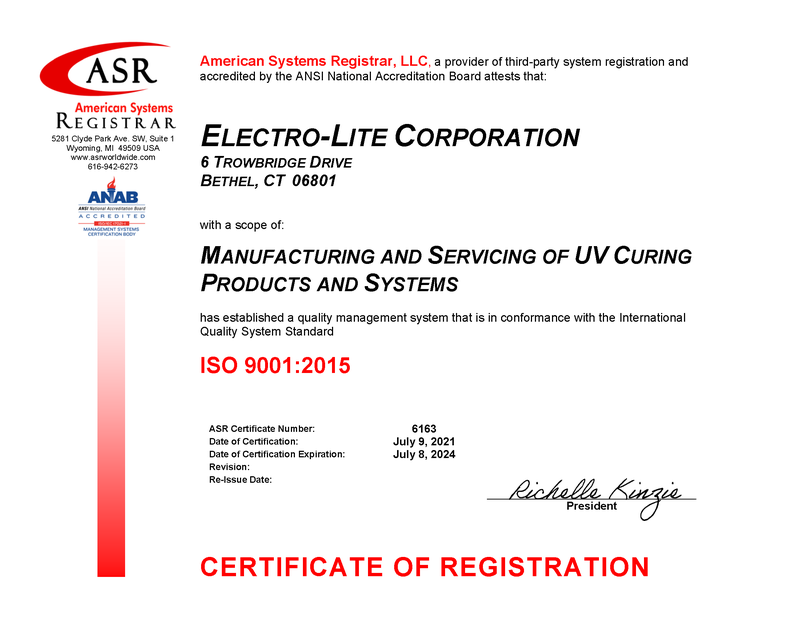 commented Robin Killoran, VP of Marketing at Electro-Lite.